The Keo Sprint spindle is built with an oversized steel axle and uses micro-ball (12 mm inner x 18 mm exterior) and needle bearings for better resistance under load. A spacer is positioned to hold the needle bearings in place which limits friction and promotes better fluidity during rotation. A new method of controlling how the spindle is fixed to the pedal body also guarantees that the pedals are even more reliable. 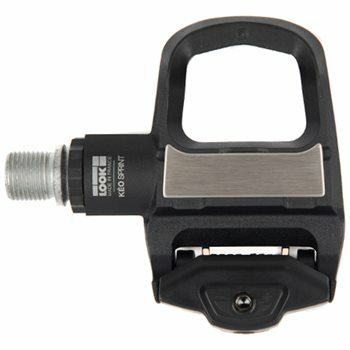 Suitable for those using clipless pedals for the first time and recreational cyclists due to adjustable pedal tension.